Lately, I have been shopping for groceries at Whole Foods Market, I have been very choosy in what I buy. My food for the whole week does not come from Whole Foods, but I am beginning a project where I spend less than $50 on my week's groceries at Whole Foods Market. I have been wanting to do this project for quite some time, and I am moving forward in my research. 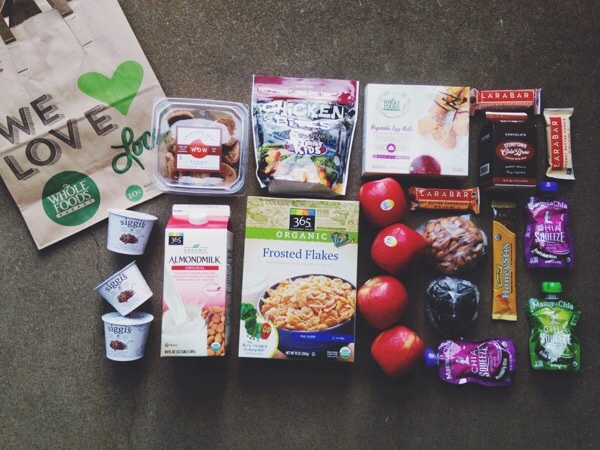 Yesterday, I went to Whole Foods Market and went shopping for most of my week. 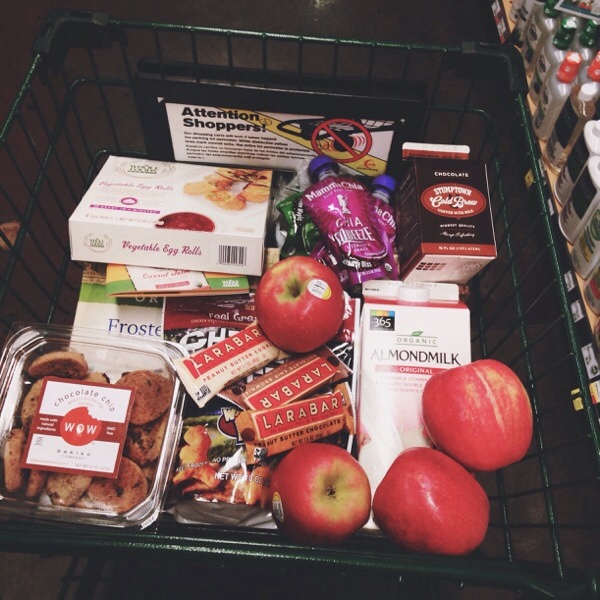 The majority of what I eat comes from Whole Foods, so it is my weekly food shopping. For this project, I will disclose what I spent yesterday on my food. It did not come out of my paycheck, due to an awesome bonus I received at work. I spent $54.81 at Whole Foods yesterday. That was the ball park of my budget, but normally I walk out of Whole Foods Market spending only $35 to $40, but I don't buy food for my whole week during those trips. 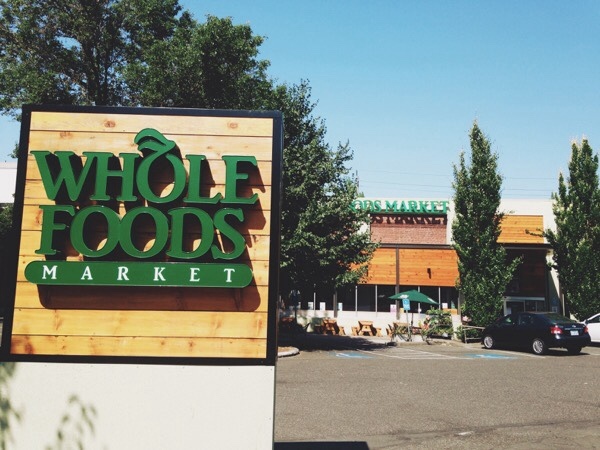 My project is how a normal person can shop at Whole Foods without spending a million. I did not use coupons on my trip yesterday, I did not bring my own bag to get 10 cents off my purchase, and I did not redeem anything yesterday's Whole Foods Market trip on the iBotta app. I did, however use Checkout 51, uploaded my receipt, and received some rebates. The rebate was only $1.50, but that means I received one of LaraBars for free. Rebate apps are amazing, and I used to use them all the time, but I got lazy in uploading my receipts. I realized that when rebates build up, you just made money by shopping. 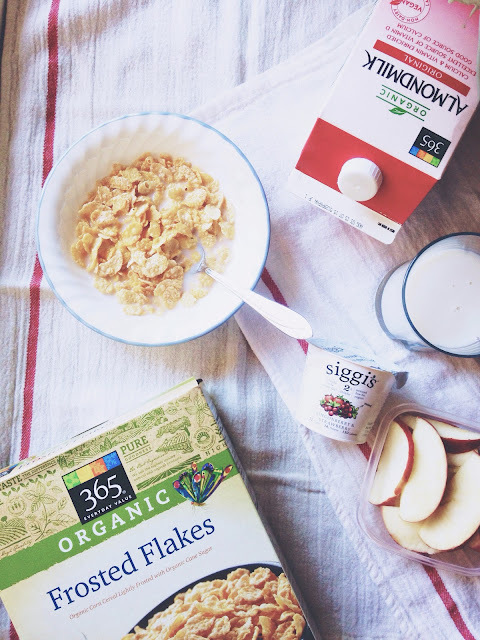 (1) Box of Frosted Flakes from 365, Whole Food's generic brand. (1) Large carton of 365 Original Almond Milk. (1) Container of Wow Baking Company Gluten Free Cookies. (1) Bag of Chicken Bites. (1) Box of Whole Foods Frozen Veggie Rolls. (1) 3/4 lb amount of almonds. (1) 3/4 lb amount of wild rice. (1) Package of honey sticks. (1) Carton of Stumptown Cold Brew coffee. I am going to eat up everything before I go to Whole Foods again, and in the meantime, I am going to meal plan, coupon hunt, and document everything to show the course of my project. So, for my next shopping trip to Whole Foods Market, I am not spending more than $40. I am not bringing more than $40, and I am going to leave my card at home. I am coming equipped with coupons galore, my own bag, and my notebook to keep me on track. When I went to Whole Foods yesterday evening, it was so busy! That is why I like going in the mornings, it is a little less crowded and less busy. I haven't been able to go in the mornings lately because I have been working extra hours at work, and it has been hectic. I tried my best to take note of prices, and what I might need. If I have to, I can always call Whole Foods Market for price checks when I am meal planning, so I can budget while I build. This morning, I had a breakfast completely from Whole Foods Market. I measured out a serving of cereal, which is one cup, and I poured almond milk over my cereal, as well as in a glass. I had a Siggi's yogurt, and apple slices this morning. The Pink Lady apples I bought are pretty large, so I only ate half of it this morning, and then saved the other half for tomorrow morning. Most of my meals will have something from Whole Foods in it, and the next time I go shopping, I will eat only what I bought at Whole Foods for that week. I am really fired up about this project, and I can't wait to share more of my research with you. This will be such a great project.